Note: The test pictures where edited, so the the spots caused by dust particles are better visible. Although the EOS 40D provides a sensor cleaning function – persistant dust particles seem not to care about. Even multiple repetitions of the cleaning function and air-cleaning the camera with activate manual sensor cleaning mode did not change anything. The usual course of action in such cases is either a repair shop where the camera gets checked and cleaned for a certain payment or self-help using “cleaning swabs” – thin sticks with cleaning cloths at the end, which you swipe over the sensor to remove dust particles. The cheaper alternative are cotton swabs and isopropyl alcohol. The method with the wet cleaning may work in ideal cases – but sometimes streaks remain afterwards and dust is often just moved to the side and does not get removed. 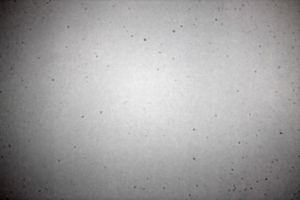 A quite better result can be achieved with an unusual variant: Sensorfilm, emanated from “Discofilm” which was originally developed to clean record discs. Sensorfilm is a honey like liquid which is water soluble and free of aggressive chemicals. 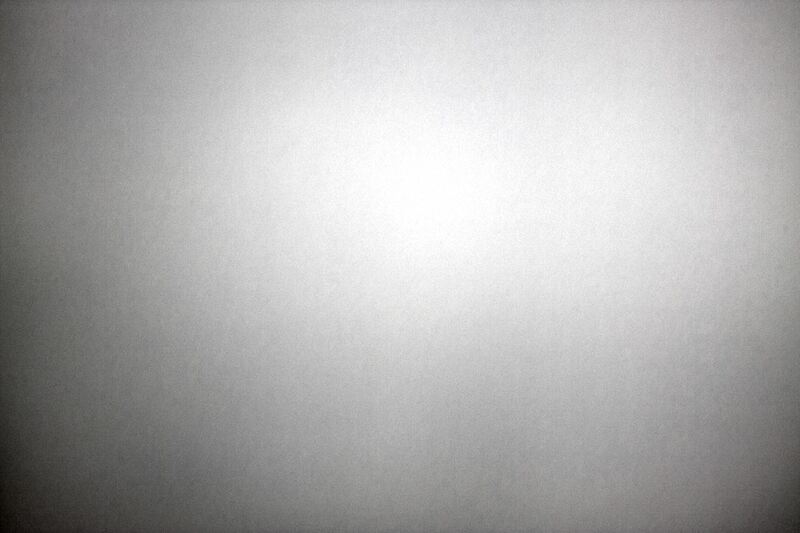 It can be applied easily on the filter glass in front of the sensor using a small brush. After a couple of hours the liquid dries and creates a solid film which encloses all dust particles on the surface and gets pulled off in one piece. I don’t have any commercial connection to the supplier and I also don’t get money for promotion. This is just a report of my own experiences. Very imporant: Use at your own risk! I don’t take any responsibility for damages which might happen when copying the procedure on your own. Use a fully charged battery or an external power supply! The shutter has to be kept open for several hours – if it closes prematurely due to missing power while you apply the film or the latch, the result will most likely be a damaged shutter which has to be repaired for a lot of money! Bevor applying the film: Check the battery charge, remove the eyecup, prepare everything needed (Sensorfilm, brush, paper and sissors for the latch, tweezers to pull the film off). 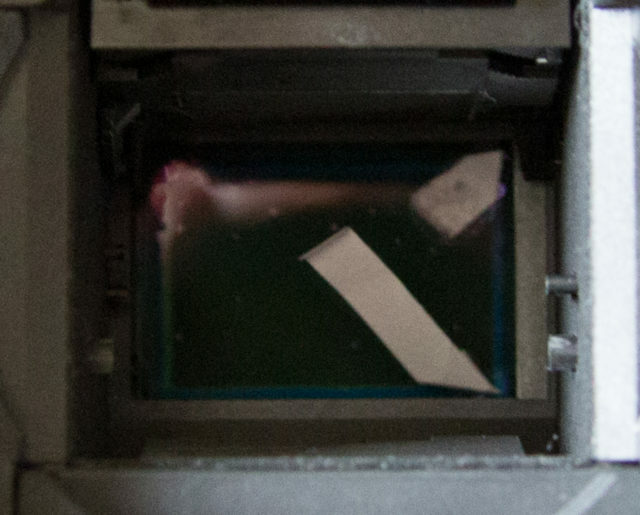 When applying the film you should take care to leave a small gap to the frame, so the film can be pulled of easily and does not get between the filter glass and the frame. After applying the film let it dry for about two hours in which the camera has to be absolutely flat (without eyecup on the display) so the film does not flow to the frame. The bayonet will be covered with just a sheet of paper. When the film has dried you now mount the latch to pull it off. For this cut a small stripe of paper – about 17 mm long and about 4-5 mm wide. On one end fold the paper at an angle of 45 degrees so there is a slanted edge. 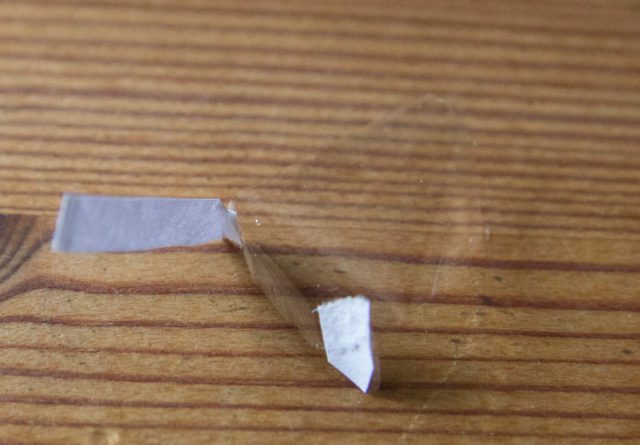 On this “dog-ear” you now apply a small amount of Sensorfilm using the brush and then glue the paper stripe at one corner. Now let this dry for about another 30 minutes and afterwards remove the film by pulling it on the paper latch using the tweezers. 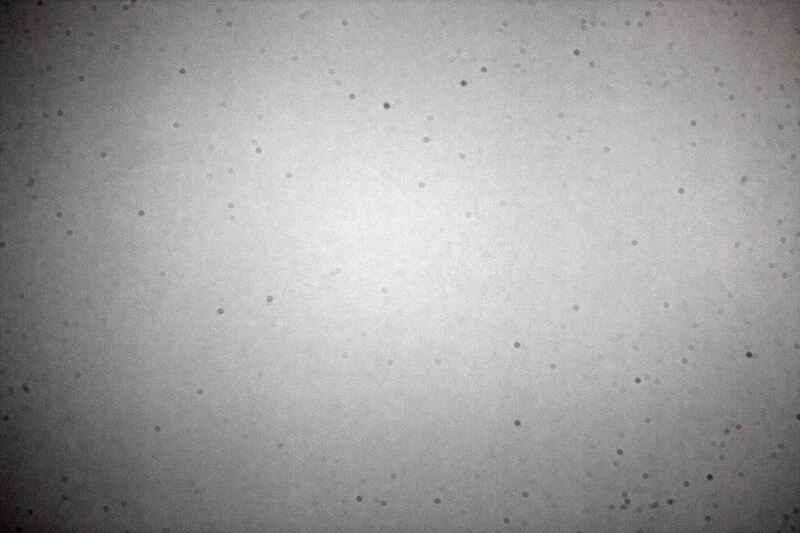 Unfortunately some of the following pictures are not very sharp – but you should anway see how the dust particles get enclosed in the film – the small “bubbles” are the enclosed particles. You can click any of the pictures to get a larger view. Unfortunately my first try to pull the film off did not work – the paper latch was ripped off. The second try worked straightaway. My fault was to apply too much Sensorfilm to the paper so it was not completely dry when I pulled the latch. The dried film is quite solid, takes any dust particle with it and the result is quite worth the effort. 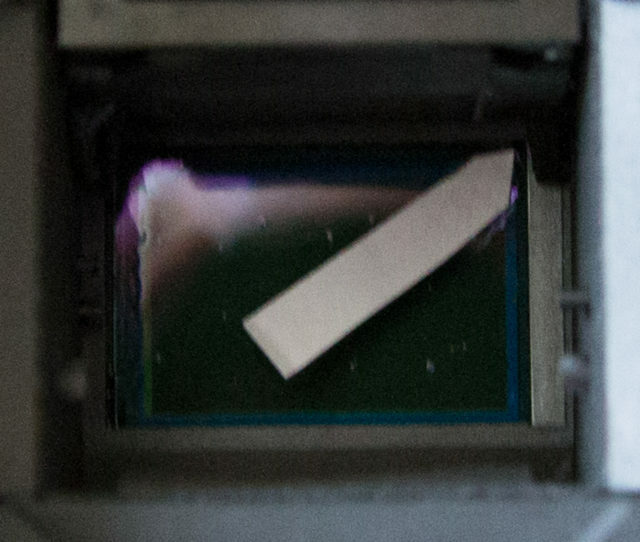 Further information and source of supply see http://www.sensor-film.com.